A halo effect can lead to significantly biased and distorted judgments in numerous situations and settings in daily life. However, its impact has barely been researched in the sporting environment, although it might help a great deal in understanding how sport fans think and behave. 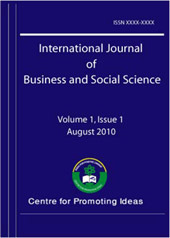 This paper provides an international literature review on the halo effect in different research fields. Built upon this state of the art, an empirical study based on two Ger-man soccer clubs, VfB Stuttgart and FC Bayern Munich, analyzes the presence of halo effects explained by social identity theory. The study shows that supporters rate aspects of the respective team, for example the president’s competency, more favorable than common sport spectators, and this effect even increases with a higher level of team identification.